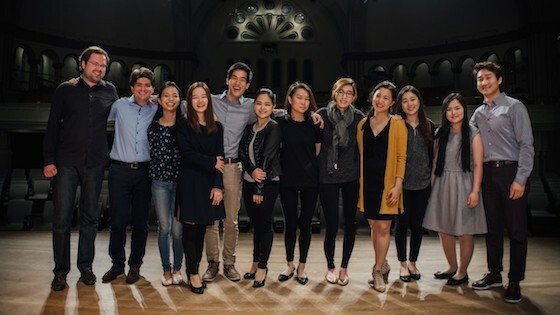 May 25, 2016, 10:33 PM · Congratulations to the semi-finalists named Wednesday in the Montreal International Violin Competition! You can find their bios and full programs on this page. Semi-final rounds will take place May 27-May 28. To see the videos and live feed, click here. From those, six finalists will be chosen to play in the Finals May 30 and 31. A Gala Concert will take place June 2, and for both the Finals and Gala Concert, competitors will perform with the Orchestre symphonique de Montréal (OSM), with guest conductor Giancarlo Guerrero. In an interesting twist, prizes will be announced right before the Gala Concert. May 26, 2016 at 03:52 PM · The proportion of MEN is increasing! We're up to 33%. Yay!